For the 61st Primetime Emmy Awards, Playground Group spearheaded a massive, design and expansion of the Academy of Television Arts & Sciences websites. We created three distinct, new interactive online destinations: the new, year-round television Academy fan and consumer-oriented Emmys.com; the Television Academy member site, Emmys.tv; as well as the academic-focused EmmysFoundation.org. 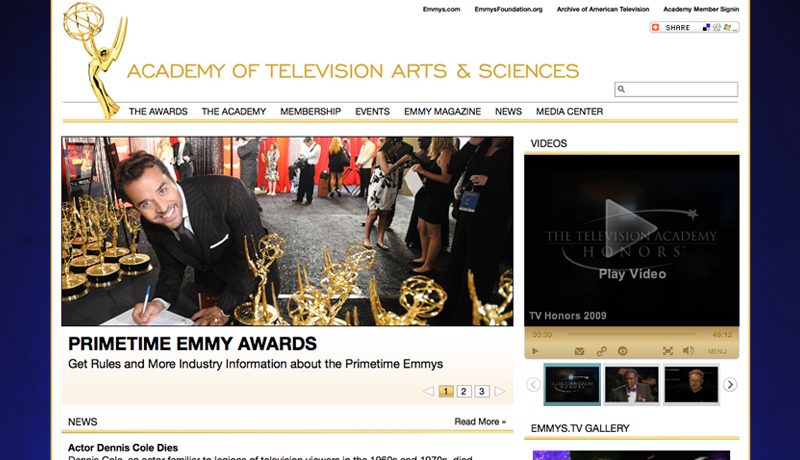 The Emmys.com web site was rolled out in various stages prior to The 61st PRIMETIME EMMY® AWARDS event and show on CBS. 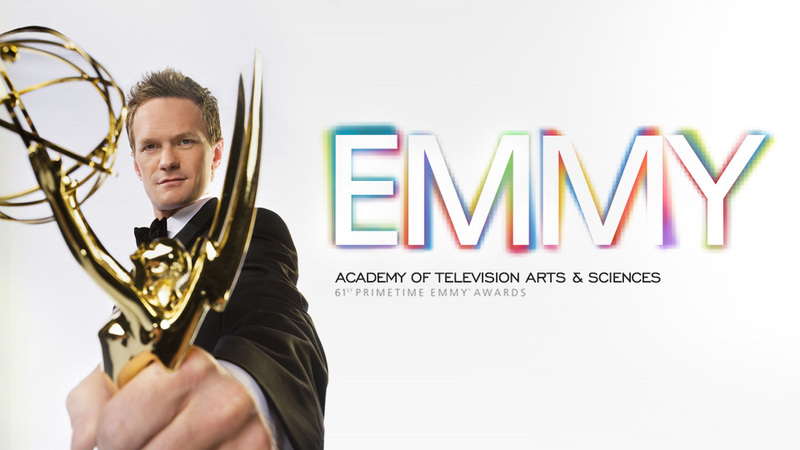 The Academy of Television Arts & Sciences launched their new consumer focussed emmys.com site in preparation of announcing the nominees for the 61st Primetime Emmy Awards. The goal was a site that incorporated a stylish layout, professional video, high quality photo galleries and allowed for flexible content management, managed by their internal staff–all while keeping up with high performance traffic demands. 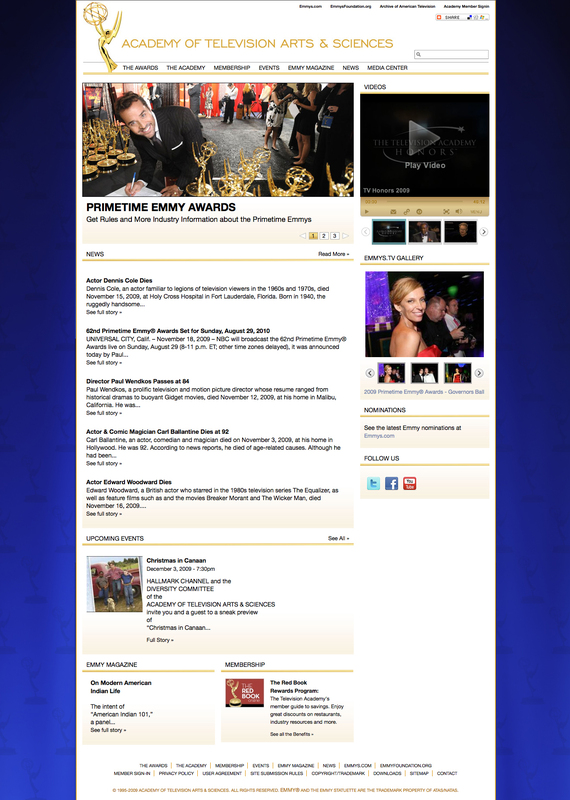 Based on these requirements, Playground Group created emmys.com using the Drupal CMS and Brightcove Video Platform. 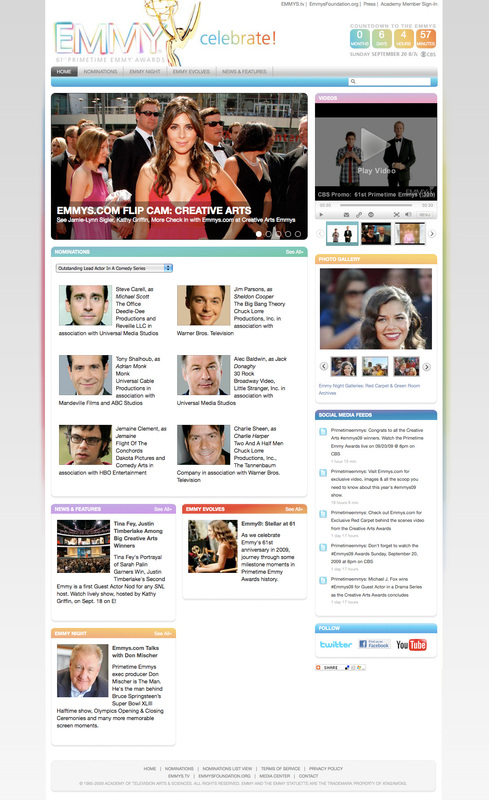 Emmys.com was the first site launch of four sites created by Playground Group. 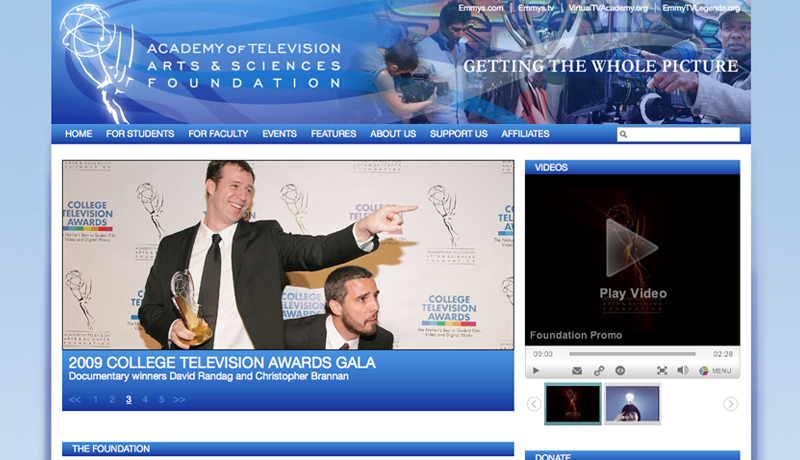 The Academy’s member website, Emmys.tv, the foundation website, emmysfoundation.org and the members only community. The Television Academy of Arts and Science Foundation serves the community through youth programs, educational grants and faculty training and access. With such a broad range of demographics and purposes they need a site that appeals to a large audience while providing ease of use through concrete paths to desired locations. With a clean UI and dedicated modules the site now serves each purpose with ease. 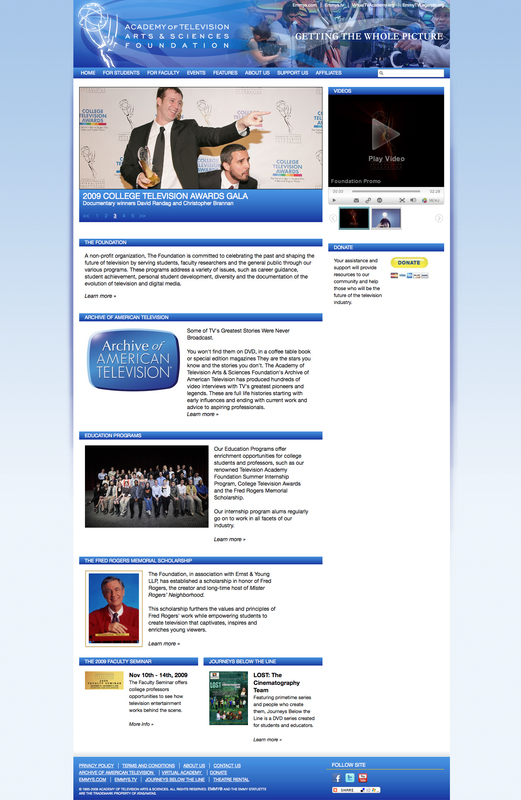 In addition the foundation also works closely with the Archive of American Television which had an existing web site. Through the use of typography, photography, illustrations, icons and other graphic elements we were able to create a seamless transition between the two web properties. The Television Academy of Arts and Science has a need to stay connected and relevant to the members they serve. After deep review of their member requirements, security and desire to share information quickly. We created an enhanced user interface that informs and entertains. Through a custom implementation of the Drupal content management system, integration with their current membership database and development of a new online community, we elevated the usability for the Academy’s 15,000 members.